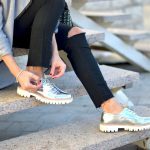 There are many factors that determine how you should care for your new pair of shoes, including materials of the shoe, conditions you will be wearing the shoes in, and how frequently you wear your shoes. Here are some tips that will help you get the most out of your kicks. 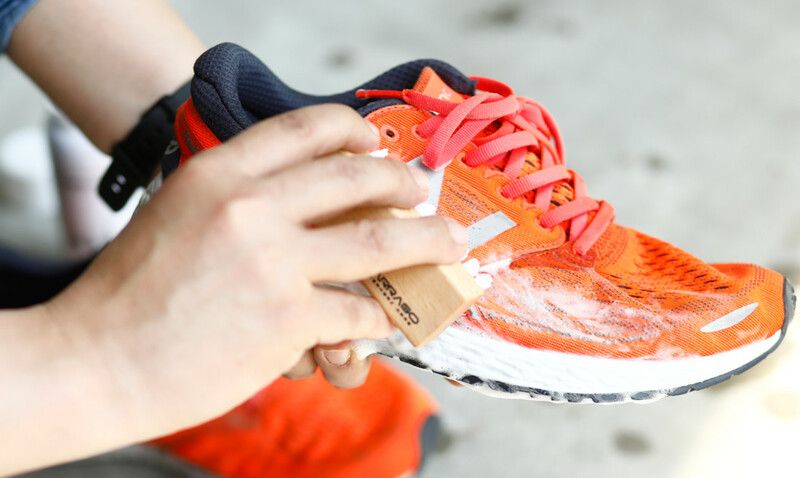 We want to know how to keep clear our sneakers for longer and what to do when disaster strikes in the form of puddles or mystery party badges. Aforetime we would simply sling our soiled canvas sneakers first into a bag and then into the washing machine, but today your sneakers demands modern measures. 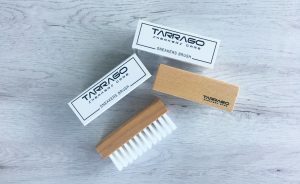 The Tarrago Sneakers Brush is a perfect complement to clean your Sneakers! It’s made up of a varnished beech wood handle brush which brings a cool touch, and soft bristles, that will allow you to remove the most difficult spots. For a perfect cleaning we recommend use the Tarrago Sneakers Brush with the Tarrago Sneakers Cleaner. You can use it in two ways: brush dry to remove dirt and dust or brush with water or the Sneaker Cleaner to clean the sneakers. Use the Tarrago Sneakers Brush for hard to get to places or for more delicate areas such as mesh or suede patches. Don’t forget to take care of your shoes with Tarrago Brands International products and keep them looking like new.